One of our great American journalists. There Are No Children Here changed me when I read it years ago. An American Summer has done it again. With his uncommon warmth and sensitivity, [Kotlowitz] makes us understand that violence doesn’t happen in a moment; it’s a state of affairs. A master of distillation… Kotlowitz is an omnivorous observer, discerning listener, and unassuming witness to urban life, who is as compassionate as he is curious, as respectful as he is incisive. Amid the darkness and ever-present despair, Kotlowitz beautifully captures the moments of brightness and hope. Kotlowitz reminds us again and again that what happens in Chicago reflects the best and worst of our nation. 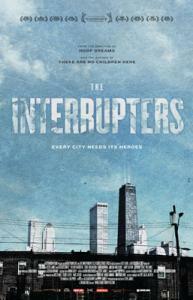 One of the important few writers on the subject of urban poverty. Our campus event featuring Alex Kotlowitz was a huge success. Alex was knowledgeable and articulate, as well as friendly and giving to the teachers and students. His evening presentation drew a record crowd; it was standing room only and we had to turn people away! We were in awe of the manner in which Alex recounted his stories—and the experiences he has had to acquire such stories. We are incredibly grateful for the work he does on behalf of those living in poverty. I only wish there were more individuals like him, willing to explore, understand, and be the voice of those who cannot be heard. The event was a great success for us. Alex gave a serious, sophisticated, and compelling talk, and the stories he shared were very effective. He convincingly illustrated what we see every day among our clients—poverty is isolating and pulls people apart rather than bringing them together. 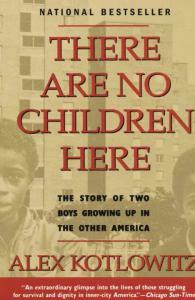 A national bestseller, There Are No Children Here was selected by the New York Public Library as one of the 150 most important books of the 20th century. 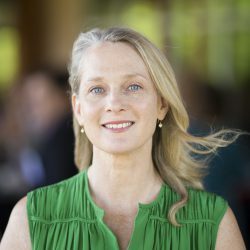 It has received many awards, including the Helen B. Bernstein Award for Excellence in Journalism, the Carl Sandburg Award, and a Christopher Award. In 1993, it was made into a television movie starring Oprah Winfrey. It continues to be taught at high schools, colleges, and universities across the nation. 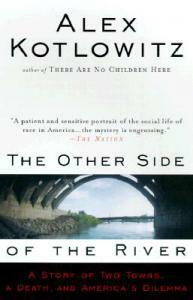 Kotlowitz is also the author of The Other Side of the River: A Story of Two Towns, a Death and America’s Dilemma, which centers on the mysterious death of a Black teenager named Eric McGinnis in St. Joseph, Michigan, a primarily white town across the river from his home in the primarily Black town of Benton Harbor. 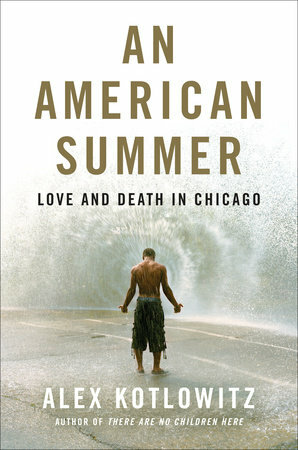 The New York Times called it “a vivid American microcosm, a telling tableau of the way we are…important, essential even, for the rest of us to contemplate.” His 2004 book Never a City So Real: A Walk in Chicago uses “his immense skill for capturing stories of those who are often overlooked to paint a compelling portrait of one of America’s iconic capitals” (O Magazine). The Chicago Sun-Times called Never a City So Real “a fine successor to Nelson Algren’s Chicago: City on the Make as a song to our rough-and-tumble, broken-nosed city.” It will be re-released in paperback in spring 2019. He is the creator of the podcast Written Inside, produced by WBEZ Chicago, which brings to life essays by men incarcerated at Stateville Correctional Center. 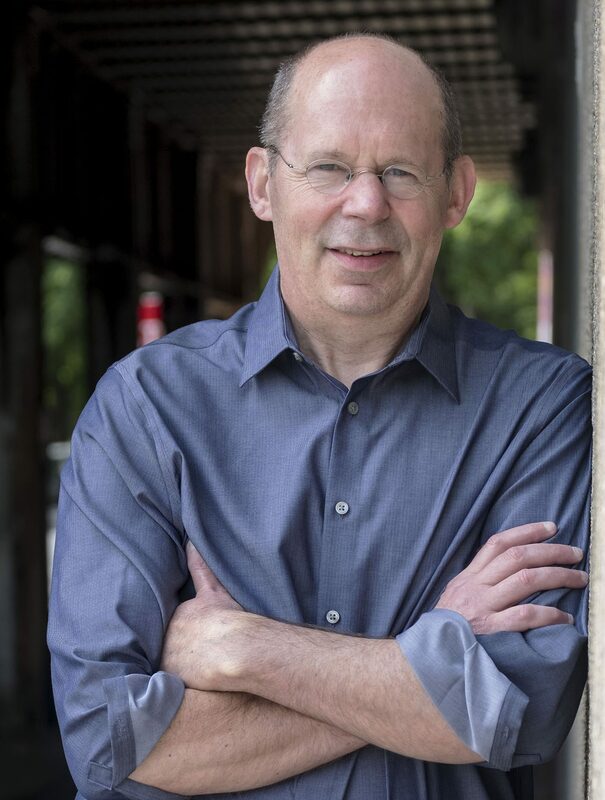 After a visit to the maximum-security prison to lead a writing workshop, Kotlowitz was so taken by the stories of the men there that he ended up working with some of them on their pieces for nearly a year, shuttling drafts and edits back and forth via a colleague from Northwestern who also taught at the prison. These intimate stories illuminate the day-to-day experience of incarceration. Five of the essays were also published online by the New Yorker. 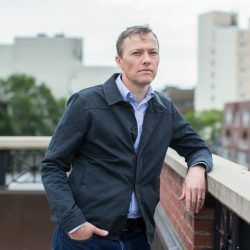 Kotlowitz’s work has regularly appeared in The New Yorker and The New York Times Magazine and on This American Life (notably, the Peabody Award-winning “Harper High School” double episode). His articles have appeared in The New Yorker, The Washington Post, The Chicago Tribune, Rolling Stone, The Atlantic, and Granta. Kotlowitz teaches journalism at Northwestern University. He has also taught at the University of Notre Dame, the University of Chicago, and Dartmouth College, where he was a Montgomery Fellow. His work is widely read in programs focusing on social work, education, psychology, urban affairs, race, housing issues, and journalism. He has lectured at hundreds of organizations and universities, including Harvard, Princeton, and the Aspen Ideas Festival, and has keynoted for numerous conferences, including those of the Neighborhood Housing Services, the Federal Reserve, and the National Association of Social Workers. A graduate of Wesleyan University, Kotlowitz grew up in New York City and now lives just outside Chicago. 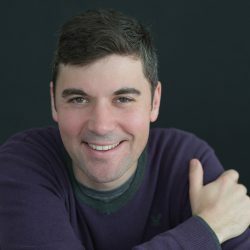 For more information on Alex Kotlowitz, please visit alexkotlowitz.com. It tears at your heart with its depiction of the intractability of the problem. But it simultaneously insists, and makes you believe, that change is possible one person at a time. [The Other Side of the River is] a riveting portrait of a racially troubled America in the 1990’s. 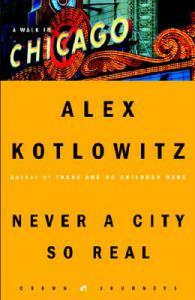 Kotlowitz infuses each finely honed and stealthily affecting biographical sketch with captivating insights into Chicago history and culture, clear-eyed testimony to his great affection for this no-nonsense city and his infinite fascination with humankind. 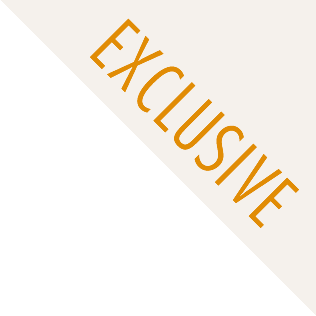 Alex Kotlowitz’s story informs the heart. His meticulous portrait of the two boys in a Chicago housing project shows how much heroism is required to survive, let alone escape.